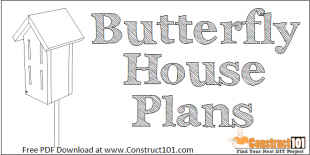 DIY small planter bench – plans include a free PDF download, material list, measurements, drawings, and step-by-step directions. Cut two 2×4’s to 4′ long. Cut three 2×4’s to 1′ 4 1/2″ long. 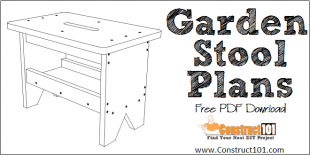 Assemble the planter bench frame as shown on illustration above using 3″ deck screws. Cut two 2×4’s to 1′ 5 1/4″ long for the planter bench legs. 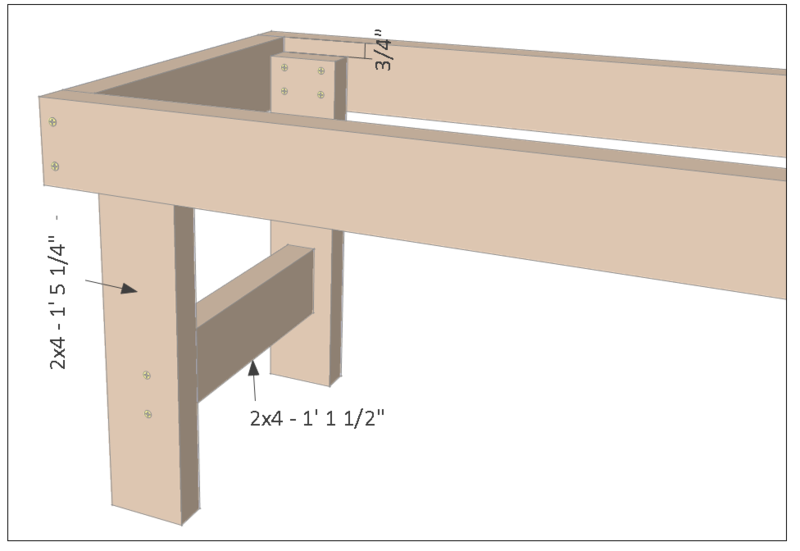 The legs will be 3/4″ below the top of the frame, see picture above for details, pre-drill holes and install legs using 2 1/2″ deck screws. 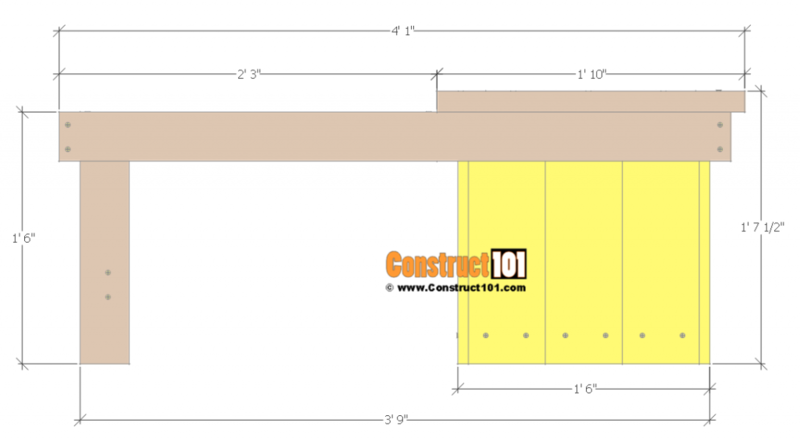 Cut one 2×4 to 1′ 1 1/2″ long for the leg brace. Attach the leg brace as shown on illustration above, pre-drill and use 3″ deck screws to install. 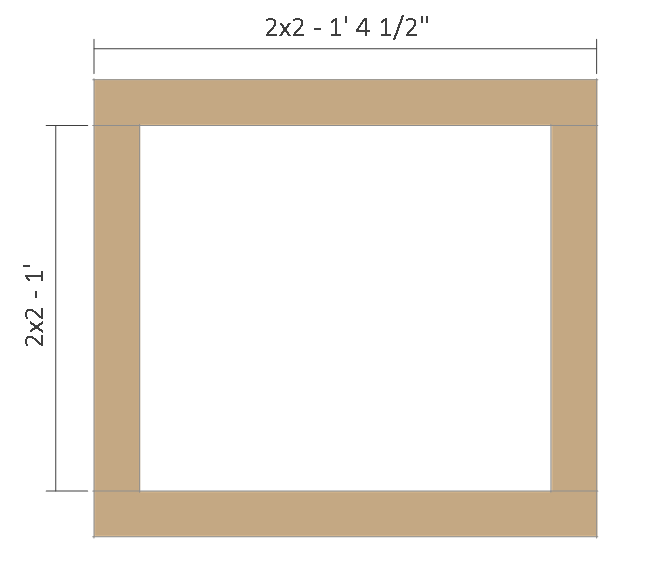 Cut two 2×2’s to 1′ 4 1/2″ long and two 2×2’s to 1′ long for the planter box frame. 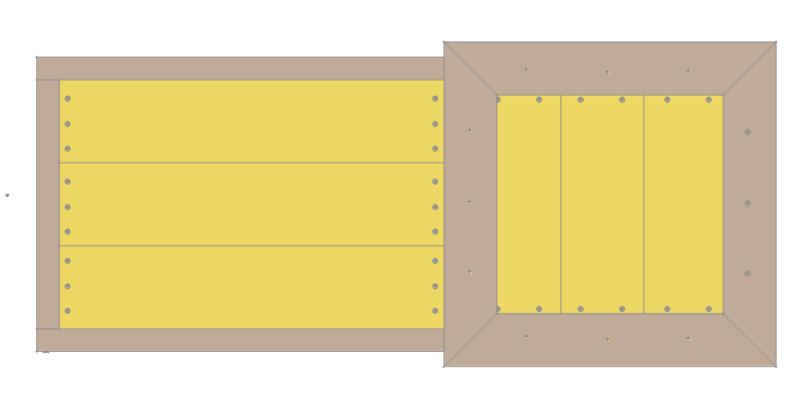 Pre-drill holes and assemble as shown on illustration above using 3″ deck screws. Cut three 1×6’s to 1′ 3″ long. 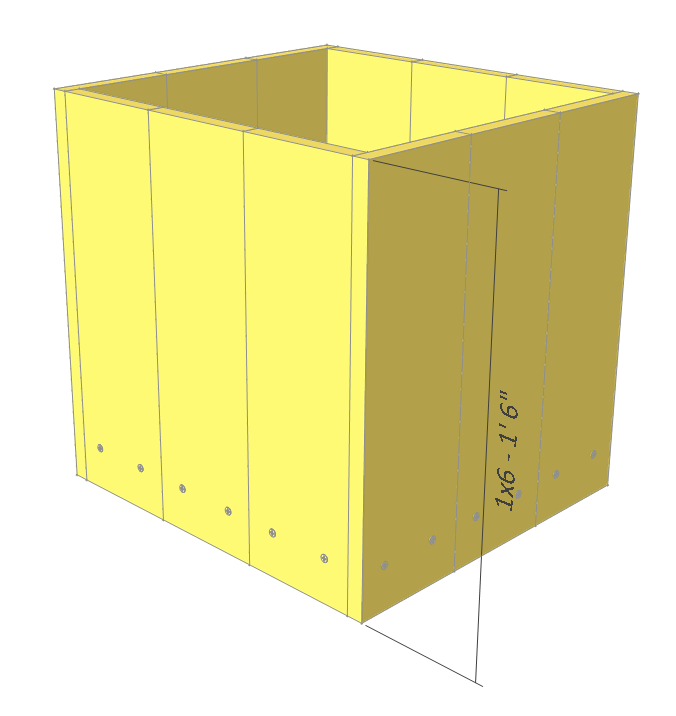 Pre-dill holes and screw 1 1/2″ deck screws through the 1×6 slats and into the planter box frame. Cut twelve 1×6’s to 1′ 6″ long. 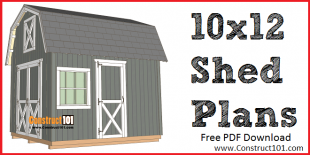 Install the 1×6 slats to the 2×2 planter box frame as shown on illustration above. 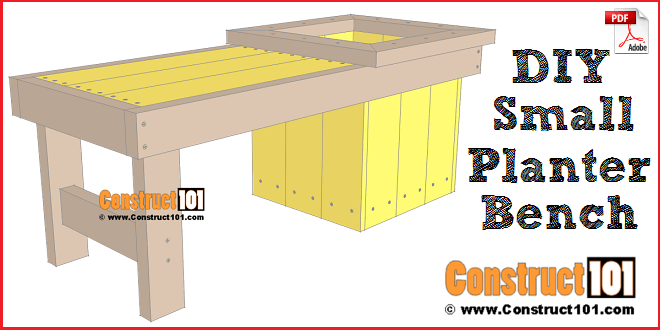 Pre-drill holes and screw 1 1/2″ deck screws through the 1×6 slats and into the 2×2 planter box frame. 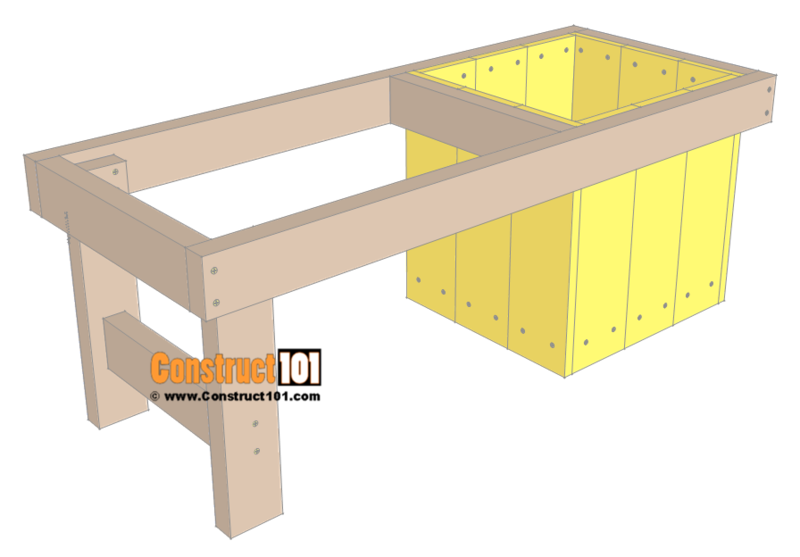 Attach the planter box to the bench frame as shown on illustration above. 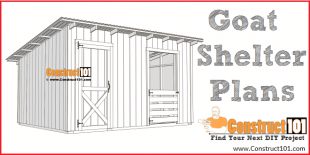 Pre-drill holes and screw 1 1/2″ deck screws through the 1×6 slats and into the 2×4 bench frame. 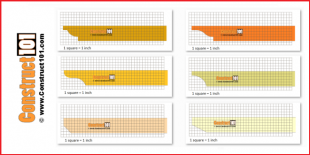 Cut two 2×2’s to 1′ 4 1/2″ and one 2×2 to 1′ 1 1/2″ long. 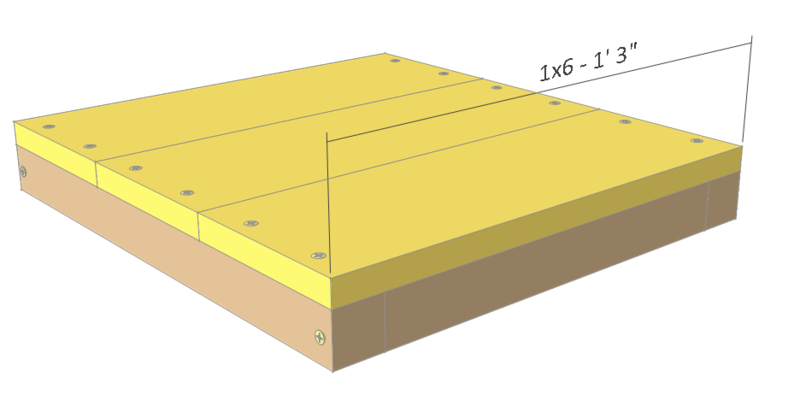 Install the 2×2’s as shown on illustration above. 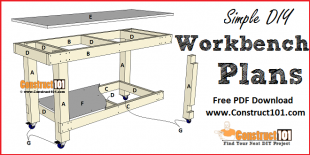 The 2×2’s will be 3/4″ below the frame so that the seat slats can be flush with the frame. 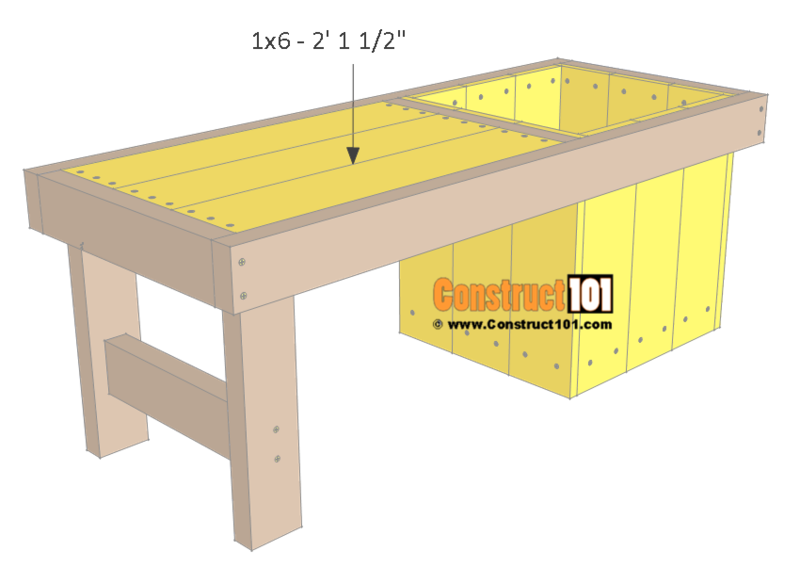 Pre-drill holes and attach 2×2’s to the bench frame using 3″ deck screws. Cut three 1×6’s to 2′ 1 1/2″ long for the seat slats. 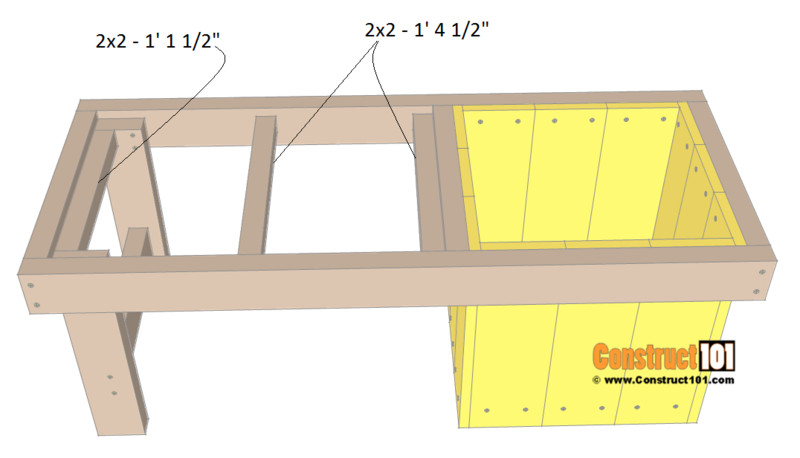 Install as shown on illustration above, pre-drill holes and screw 1 1/2″ deck screws through the 1×6 seat slats and into the 2×2 seat supports. 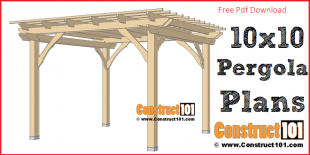 Cut two 2×4’s to 1′ 10″ long and two 2×4’s to 1′ 9 1/2″ long. 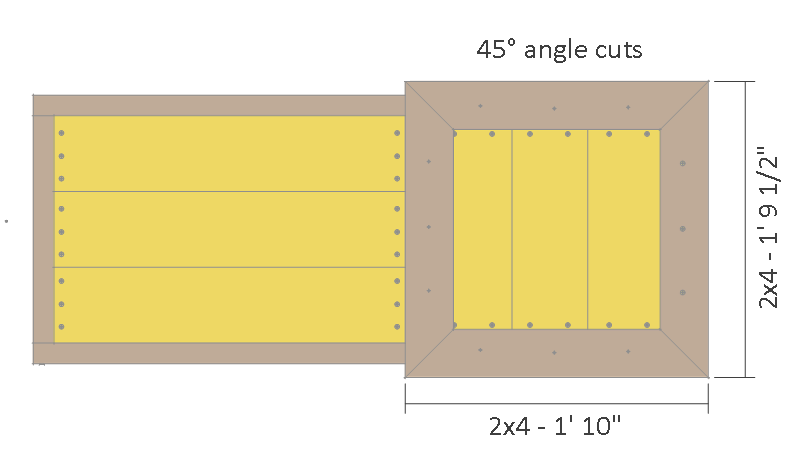 Cut 45-degree angle cuts to the ends of the 2×4’s in the opposite direction. 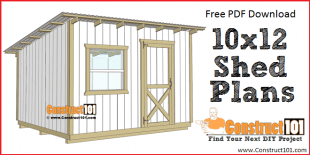 Install as shown on picture above. 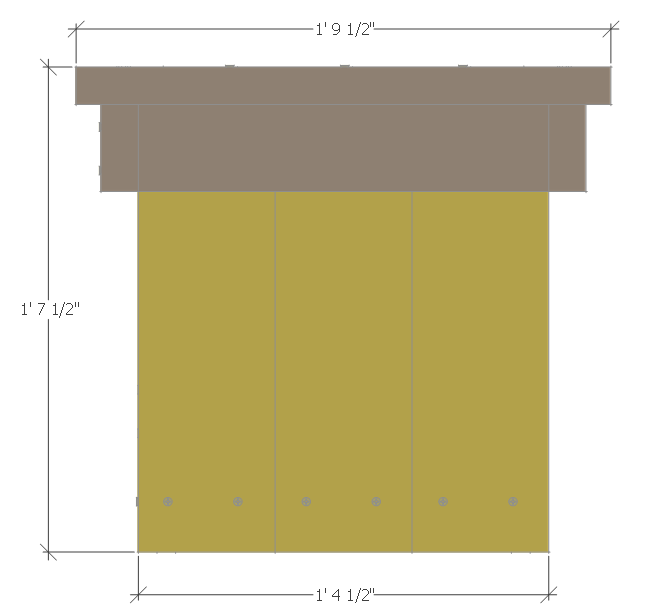 Pre-drill holes and use 3″ deck screws to attach the 2×4 trim to the planter box. 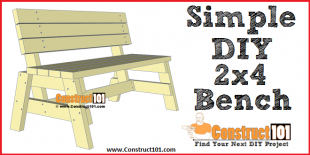 Like this DIY small planter bench? Let me know, leave me a comment below. Share this link with your friends and your social media, thanks. 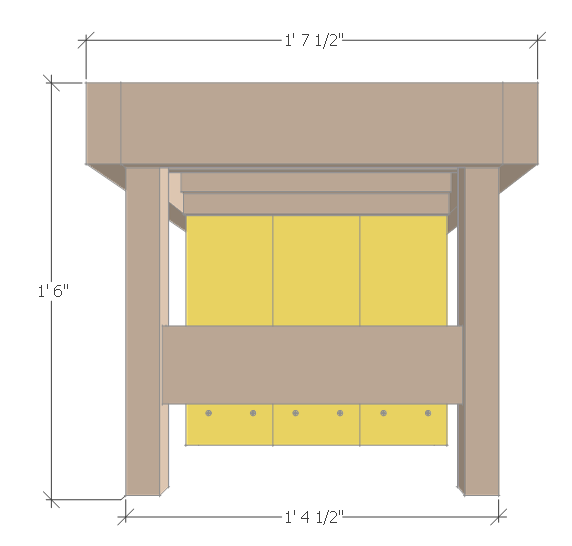 Question: I’m looking over these plans, and am wondering if I could use pocket hole screws to attach many of the adjoining pieces (to hide screws). Am I thinking correctly? Thanks!